Arctic Parachute has been created by a team of engineers and drone operators in the heart of the French Alps. CAD Drones is operated by Joshua Allen Johnson. He is 23 years old, business owner (CAD Drones LLC) and college student going for his CAD Engineering Degree with a passion for Robotics, 3D Printing, Unmanned Vehicles, and Do It Yourself Modifications. Creativity is at the heart of every dream. Every idea, every groundbreaking leap that changes our world starts with the vision of talented creators. DJI gives these creators the tools they need to bring their ideas to life. DJI's platforms empower them to capture images that were once out of reach. 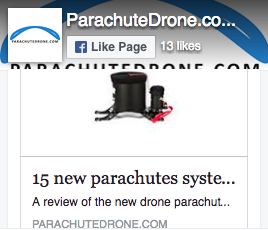 Their flying and camera stabilization systems redefine camera placement and motion. Amazing photos and video, treasured personal memories, and high-end professional imagery are captured every day, in every corner of the world using DJI products. Evosystems is born from the desire of three Italian businesses that have believed and invested in the creation of a center for research and development dedicated to the field of UAV. Founded by Gene Engelgau in 2007, Fruity Chutes is one of the world leading drone parachutes manufacturer, working with companies such as Space X, Boeing, NASA, Intel, MIT and Google. Hacker Motor GmbH is a leading motor, electronic speed controller units and LiPo batteries manufacturer based in Germany, but well known all around the globe. Hitec RCD was formed in 1973 with a mission to bring burgeoning technology to a worldwide audience. With a passion for modeling, we soon dedicated ourselves to developing the most innovative products and advancements in the history of radio control. 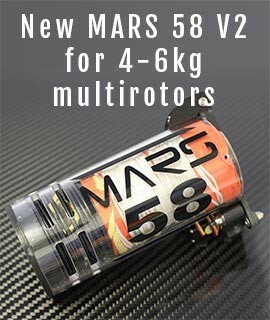 MARS or Multitor Aerial Recovery System is a US company from La Habra, California. 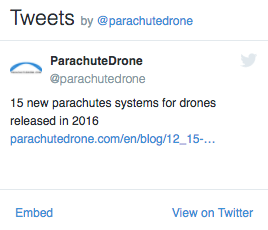 North UAV was founded by Kyle O’Rourke on April 7, 2015. REBEL Space was founded in 2000 in the Netherlands to serve the rocketry community with high quality systems, parts and services.